An unusual form of horror tale, 2018’s The Little Stranger takes us to England shortly after the end of World War II. Young Dr. Faraday (Domhnall Gleeson) gets an assignment to tend to Betty (Liv Hill), a sick maid at an estate called “Hundreds Hall”. Owned by the Ayres clan, Hundreds has seen better days, and the household struggles to get by. Faraday once envied the posh Ayres family but now he tends to injured war veteran Roderick (Will Poulter) as a charity case. As time passes, Faraday gets closer to the clan, and especially spinster Caroline (Ruth Wilson), as the two slowly develop a romantic connection. However, something seems not quite right at Hundreds Hall, and spooky developments ensue. Sort of. Sold as a horror movie, genre fans seem likely to encounter disappointment from Stranger, as it lacks the overt scares one usually finds. Indeed, Stranger so heavily de-emphasizes any form of terror that I find it tough to view it as a true “horror film”. Granted, I understand that the genre covers a wide array of bases, and not all need to deliver active fright-fests. However, Stranger so actively avoids the kind of territory expected from the domain that I do hesitate to toss it into the horror bin. Instead, it brings us more of a relationship drama with the occasional creepy flourish. In particular, the movie occasionally visits the memories of Susan, an Ayres daughter who died young. Viewed as something of a “golden girl”, her spirit haunts the story, though it never seems clear if this exists in a literal or metaphorical sense. Does the Ayres abode truly house a ghost? Or do the surviving Ayres family members suffer such guilt and mental health issues that they simply believe this due to their own psychological damage? Stranger never makes either side clear, which works as a positive and a negative. On one hand, I appreciate the film’s subtlety and its refusal to spoon-feed the audience. Different viewers will leave with different conclusions. On the other hand, Stranger can prove awfully frustrating in its elusiveness, and I’ll admit I have little concrete idea what the ending means. I can conjure a few theories about the story and finale but it still leaves us with more questions than answers. Despite these occasionally maddening moments, Stranger usually works. It may offer a slow movie, but it’s a generally intriguing one. Again, the pacing can make the viewer a bit impatient at times, but not in a truly annoying manner. Most of the film offers a reasonably compelling piece, especially when it focuses on the Dr. Faraday/Caroline relationship. We sense doom here from the start, but it remains fascinating to watch their connection evolve. While we may know the story won’t come with a happy ending, we take interest in the path it follows. With its gradual pacing and lack of overt scares, Stranger won’t work for everyone. I think it mostly rewards patient viewers, though. 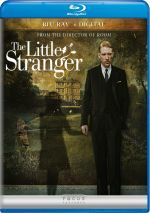 The Little Stranger appears in an aspect ratio of approximately 1.85:1 on this Blu-ray Disc. This became a satisfactory presentation. Overall sharpness worked well. A few interiors and wide shots could be a little tentative, but the majority of the movie appeared accurate and concise. When confronted with a palette, I found a whole lot of teal with some amber thrown in for good measure. These were fine given the stylistic choices. Blacks seemed dark and right, and shadows demonstrated fairly good clarity, though interiors were slightly dense at times. Even with some drawbacks, this still felt like a “B” image. Given the movie’s subdued nature, I expected a low-key DTS-HD MA 5.1 soundtrack, and that was what I got. The audio concentrated on mild ambience much of the time. Effects occasionally cropped up around the spectrum, and the film’s spare score also utilized the various channels, but this was usually a restrained soundscape. Still, the mix used the speakers in an appropriate manner that conveyed the atmosphere well. Audio quality appeared positive. Music was full and rich, while effects seemed accurate and clear. An important factor in such a chatty film, dialogue remained concise and natural. This became a suitable soundtrack for the story on display. Two featurettes appear here, and The Power to Haunt runs six minutes, 22 seconds. It includes notes from director Lenny Abrahamson, screenwriter Lucinda Coxon, and actors Domhnall Gleeson, Will Poulter, Charlotte Rampling and Ruth Wilson. “Haunt” looks at the source and its adaptation, Abrahamson’s approach to the tale, cast, characters and performances. A few decent notes emerge but much of “Haunt” feels promotional. Inside Hundreds Hall goes for two minutes, 55 seconds and features Poulter, Abrahamson, Gleeson, Rampling, Wilson, and production designer Simon Elliott. “Hall” examines the movie’s sets and location. Like “Haunt”, it comes with a smattering of good notes but it lacks depth. The disc opens with ads for Operation Finale, Colette and The Bookshop. No trailer for Stranger appears here. A character drama with horror flourishes, The Little Stranger fares best when if focuses on its relationships. While the story moves a bit slowly, it usually provides an enjoyable affair. 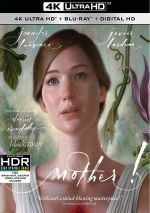 The Blu-ray comes with largely positive picture and audio as well as minor supplements. Many will find Stranger to seem off-putting, but I think it mostly works.